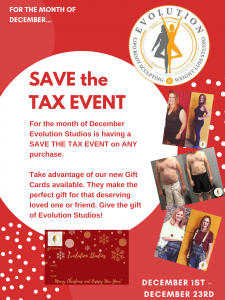 Evolution Studios is excited to announce that for the month of December we will be doing ‘Save the Tax Event’ on all packages as well as product is BUY 2 SAVE $10. This is our way of saying Happy Holidays and ringing in the New Year! Take advantage of the SAVE THE TAX EVENT TODAY! 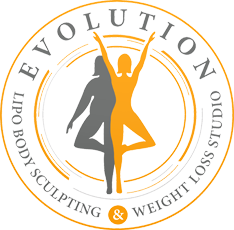 JOIN NOW AND START IN JANUARY, THE CHOICE IS YOURS. 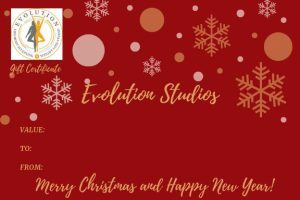 GIFT CARDS ARE NOW AVAILABLE! PICK UP YOUR GIFT CARD TODAY AND SAVE THE TAX. GIVE THE GIFT OF EVOLUTION STUDIOS THIS HOLIDAY SEASON.